All Pink All Around Print! A Hard to Find item and Very Unique! Each Diaper has an elasticated waistband, elastic leg cuffs to prevent leaks, a blue moisture core to store accidents and resealable extra wide tabs. There is a glossy landing front panel that allows multiple refastenings. 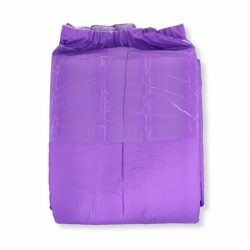 They are very absorbent yet thin enough to wear discreetly under pajamas or when you’re out playing at the park! Looking to buy full packs or cases? Visit our friends at The ABDL Company!